You will need a Professional Roof Evaluation. 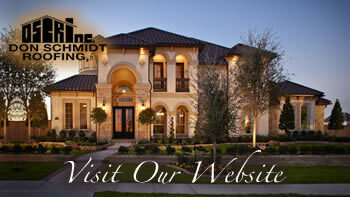 Home » Don Schmidt Roofing Blog » You will need a Professional Roof Evaluation. Trees around your house is an excellent way to cut down on your energy bills during the summer months and make for beautiful views while looking out your windows. Though you want trees close enough to your house to provide adequate shade, you also want them far enough away to avoid damage due to falling tree branches. All types of roofs are affected by adverse weather, which can shorten the lifespan of your roof. If you experience long dry spells, this can dry out wooden shingles and shakes, causing them to become brittle and break more easily. Excessive shade and moisture can cause mildew and moss to grow on any types of roof shingle and can cause wooden shingles to rot. High winds, excessive heat can all shorten the life expectancy of all types of roofs.